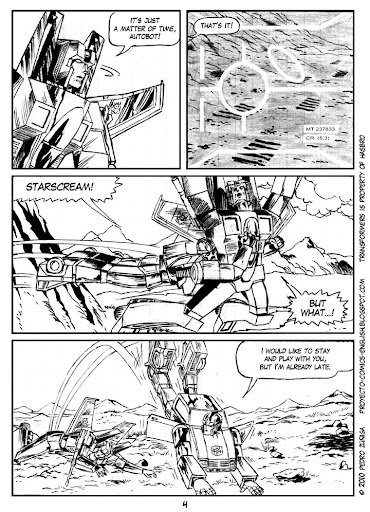 Comics Project presents the fourth page of the Fan-Art story entitled "As fallen from the sky," starring the Transformers. Starscream has detected the Autobot Racer and has proposed to destroy him, however Racer has other plans. Why is he such a hurry and decided to flee rather than confront Starscream? Song of the Week: Taio Cruz - Break your heart. Movie of the Week: Toy Story 3.